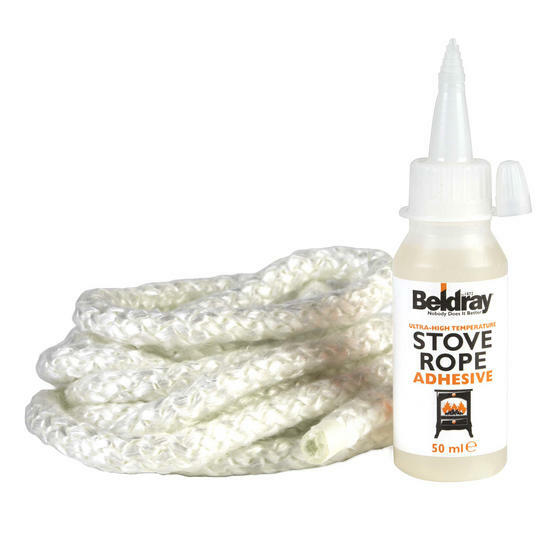 This Beldray 9 mm replacement stove rope kit is very easy to use and ideal for sealing the inside of your stove fire. Suitable for most stove fireplaces, the rope measures 9 mm in width and is 3 metres long, which you can simply cut to the correct length. The adhesive glue is resistant to ultra-high temperature, and comes in a 50 ml bottle with a nozzle for precise and effortless application. Sealing the door improves the heating process by managing air flow whilst your stove is working. 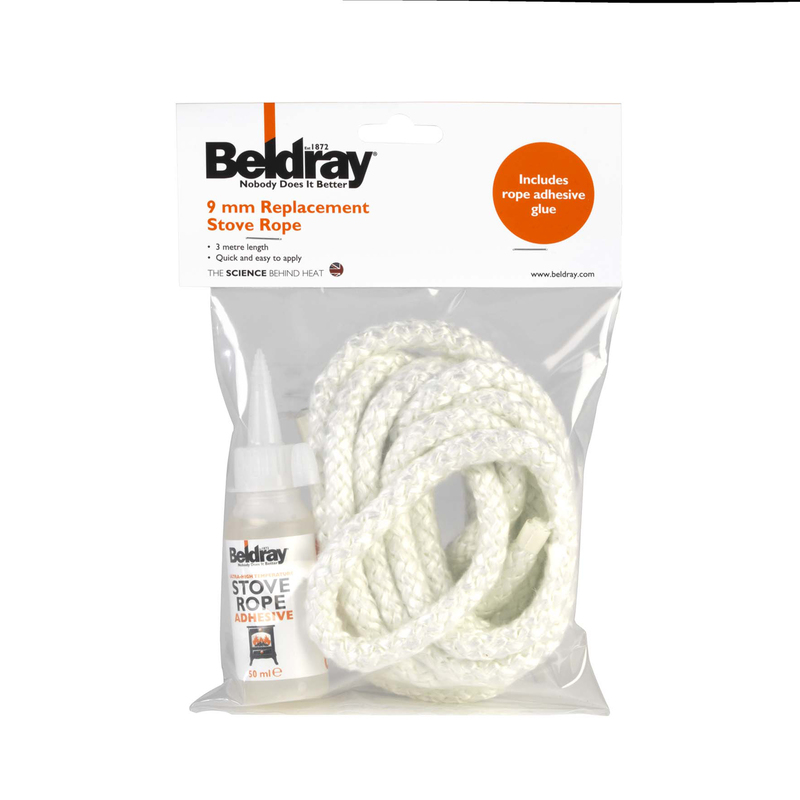 This useful kit by Beldray includes a replacement rope to seal your stove door and a 50 ml bottle of glue for very easy application. Replacing the rope ensures air enters through the vent and not through gaps between the door and stove body for effective heating. The rope measures 3 metres in length and 9 millimetres in width, suitable for most stoves, you simply fit to the door seal groove. With easy to follow instructions, the glue has ultra-high temperature resistance and will secure the rope in place with complete ease. The kit will keep your stove in top condition for brilliantly efficient heating, ideal if you need extra warmth in your home every day.